Eidos Montréal and Crystal Dynamics are jointly working on at least two games. One of these is The Avengers project, presumably set to be unveiled during the Square Enix E3 2018 Showcase, with 50 developers from Eidos Montréal helping Crystal Dynamics; the reverse is happening with Shadow of the Tomb Raider, with the Canadian studio leading development while Crystal Dynamics, the historic Tomb Raider team, provides support. 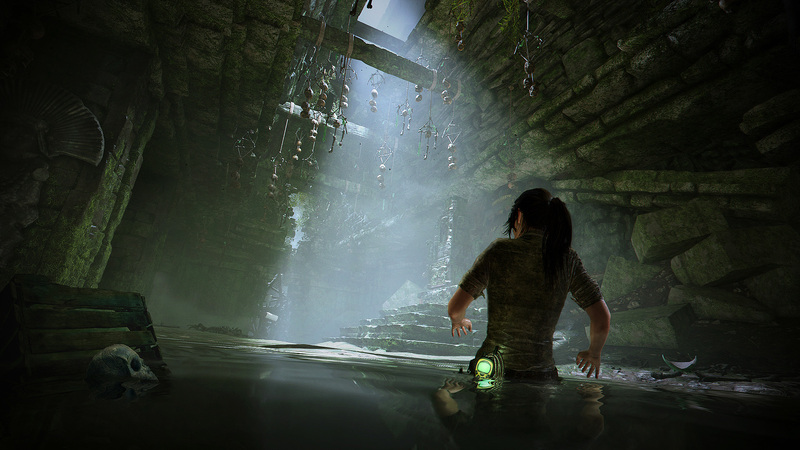 In an interview with GamesBeat, Eidos Montréal Studio Head David Anfossi teased an E3 surprise of sorts for Tomb Raider fans, something that the developers added to distinguish Shadow of the Tomb Raider from its predecessors. Good question! We could definitely compare Human Revolution with Tomb Raider 2013. You bring something fresh and unexpected by gamers and journalists and the industry. You create a kind of surprise, a positive surprise. After that, it’s more complicated to surprise gamers. That’s where there’s a challenge. I totally agree with you, and especially for a third game. But I believe that—maybe you should stay tuned for E3. You’ll understand what we did to make sure that there’s something new and very interesting and, I believe, surprising for Tomb Raider fans. But you’re right. It’s a big challenge to be the third game or the second game. Definitely a challenge. Later in the interview, Anfossi added that the developers at Eidos Montréal have respected the core of the previous games made by Crystal Dynamics while adding their own signature take on story, the one we’ve already seen in the Deus Ex titles. He also said there are fresh mechanics that make traversal and platforming ‘amazing’. You have to respectful of previous games. You don’t want to change everything. You have to make sure that the gamers who played the first two games are comfortable and understand what’s happening with whatever control mappings or what’s happening on the screen. But it was clear for us that we wanted an Eidos Montreal signature on this. Shadow of the Tomb Raider is slated to release on September 14th for PC, PlayStation 4 and Xbox One.